When The Last Telegram landed in my post box I have to say I was a little nervous about reading and reviewing this one as it is not the type of book I would pick up if I was looking to buy a book but I decided to give it a try. When I began reading this book I really struggled. I had a few people ask how I was finding it and I said I was going to give it another chapter or two to try and draw me into the storyline if not I would have to stop which I hate doing, I do not like to not finish a book I have started. The book started off very slow and the characters took along time to engage with. It was around chapter seven or eight that I found the book was starting to flow easier and started to spark my interest and so I decided to carry on. The story is based around World War II and the weaving factory both of which I found very informative in this book more so for me the weaving mill as I had no previous knowledge of the works of a weaving mill and it is quite clear that the author has taken a lot of detailed research around this topic and this is shown greatly in this book. The group of traditional and realistic characters in this book create a great cast and it felt as though you were there with the characters experiencing the emotions they were going through. The author manages to weave a touching romance story into the storyline between Lucy and Stefan which is frowned upon by others but the two will not let anyone come between their true feelings for each other. There is a heart wrenching part of the story towards the end of the book when you realise that Lily has kept a secret that is breaking her heart thinking that an error of hers has caused her own misfortune. I am glad that I perserveered with this book as I found that after the slow start there was a unique and compelling storyline, because this is not the style of book I am used to I wonder if this is the reason I found it took a long time to get into either way I would still recommend this book. Ooooh ... The premise is intriguing, and with a heads-up about the slow start, I am definitely adding this one to my list. 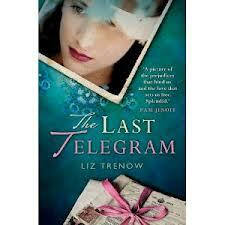 I love books set in Ww1or 2 so this book is right up my street so I've just downloaded it. Thanks for leading me to it.